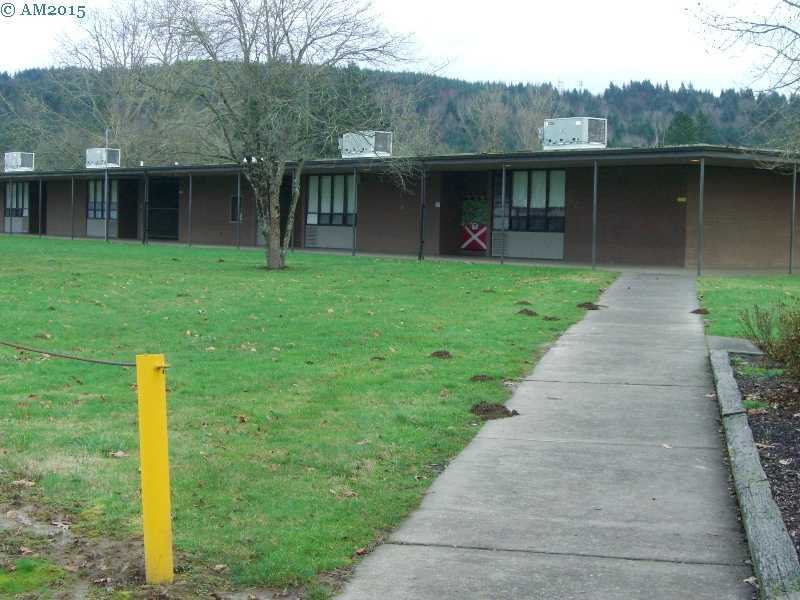 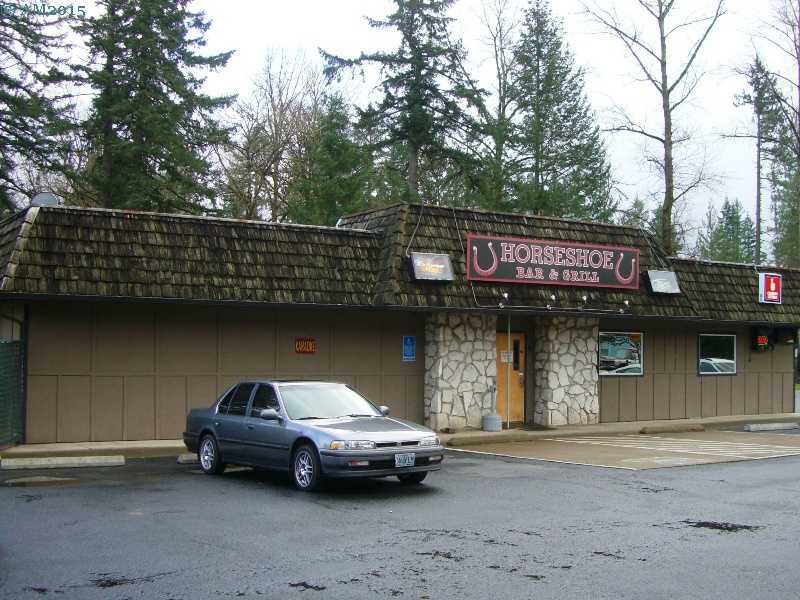 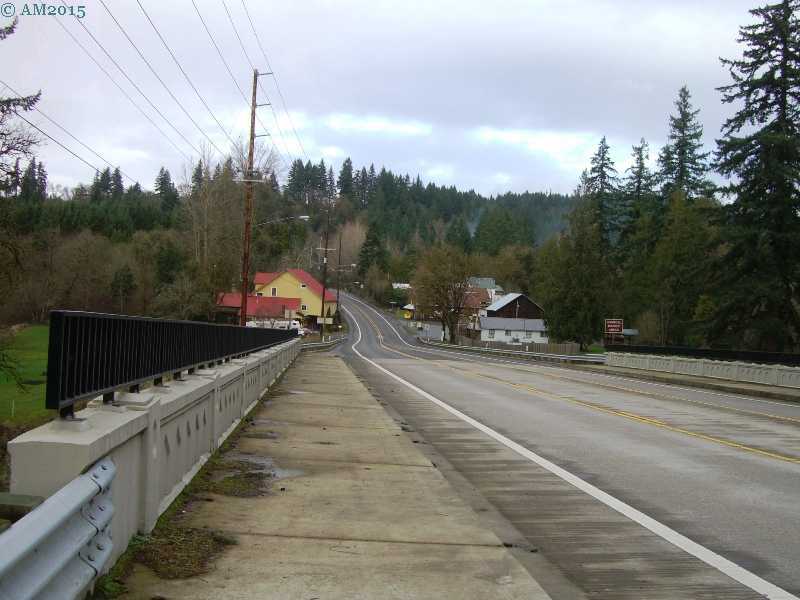 Some years ago Clackamas county created a class of town or village called a 'Hamlet'. 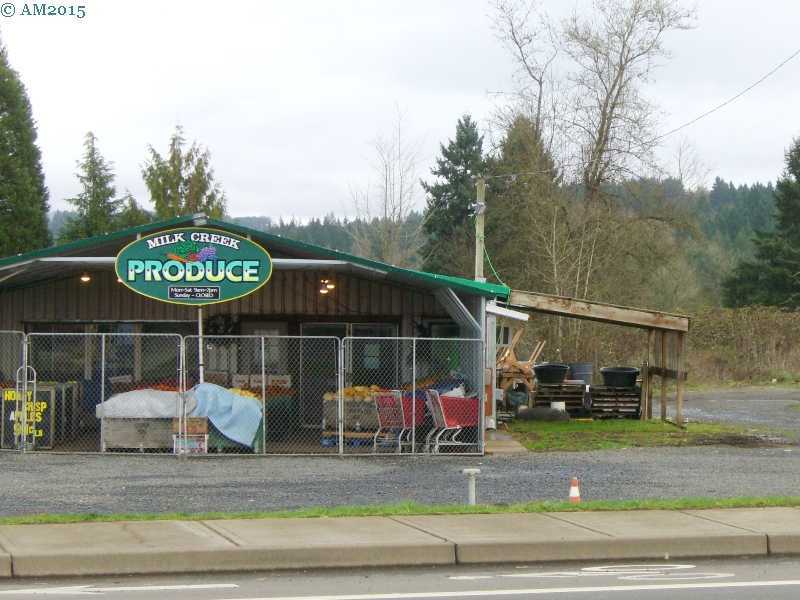 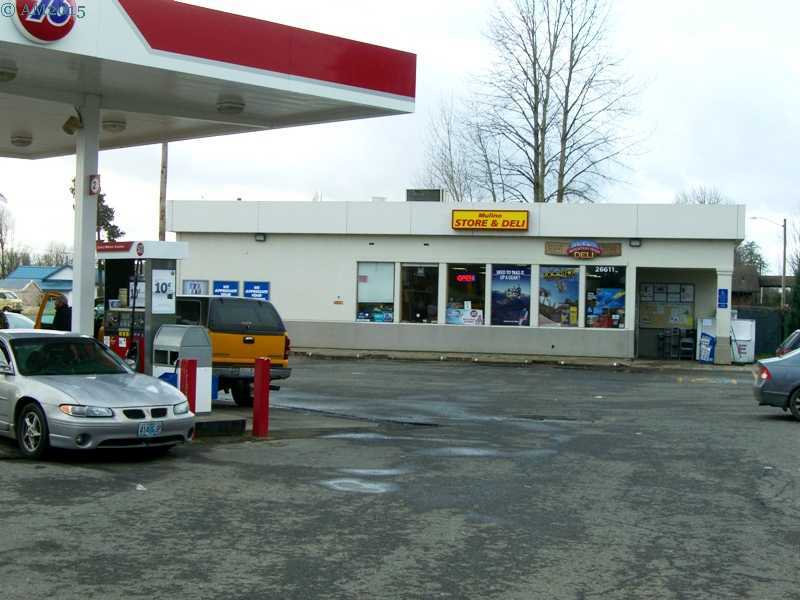 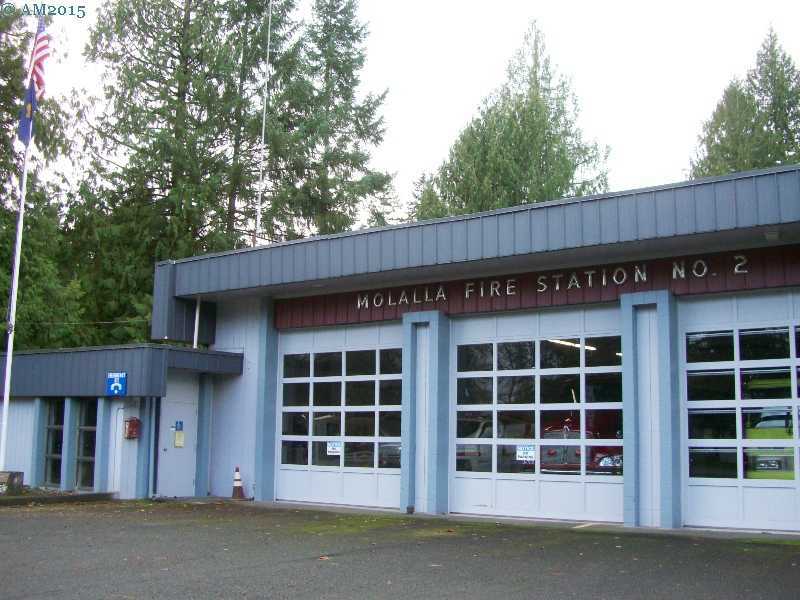 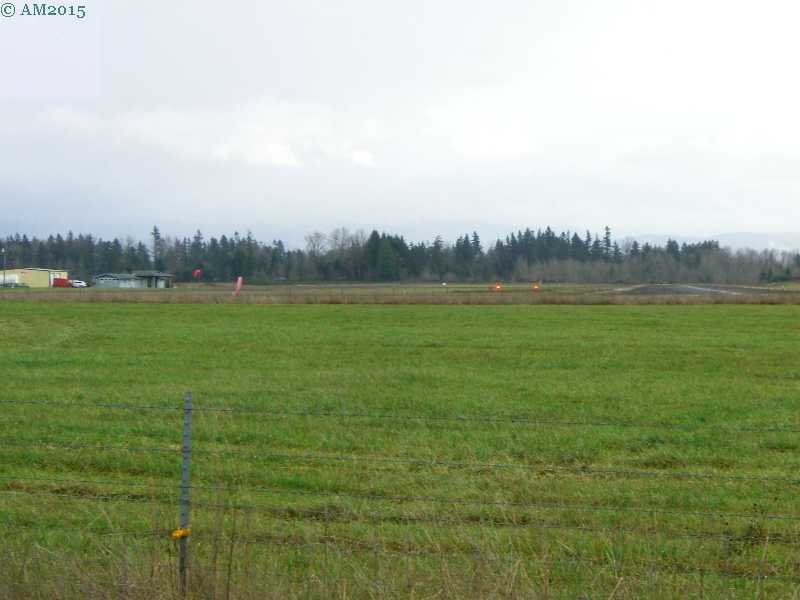 In addition to the Hamlet of Mulino created in 2007 we now have the Hamlet of Molalla Prairie and the Hamlet of Beavercreek. 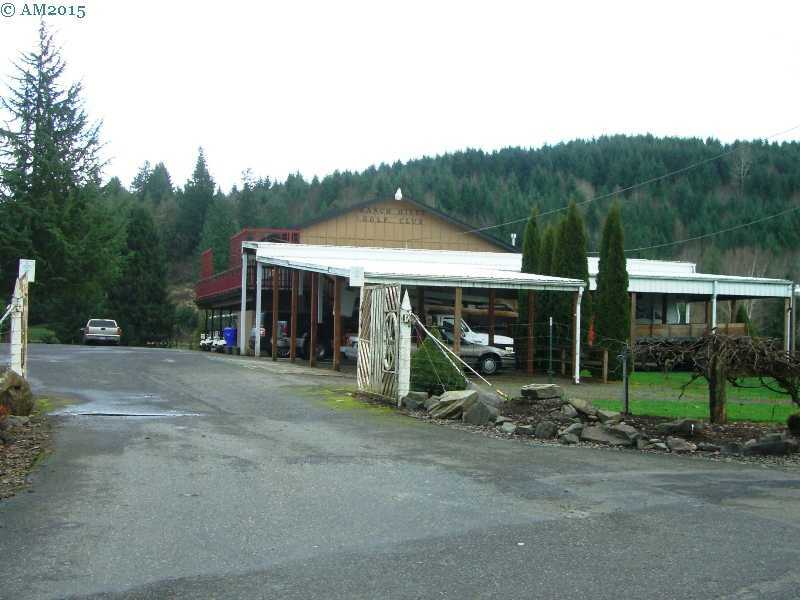 This is a way for settlements too small to be a town or city to organize their own affairs and keep county government at bay. 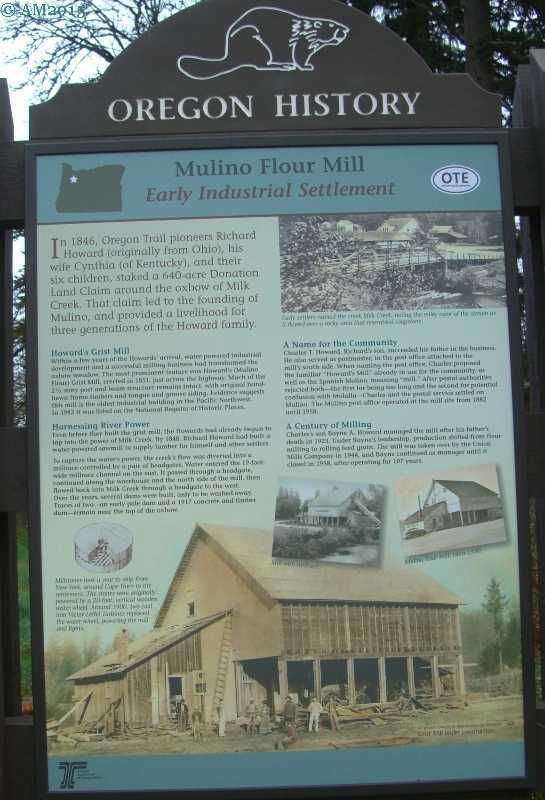 Mulino was first known as Howards Mill for a grist mill establised in 1851 at an oxbow in Milk Creek. 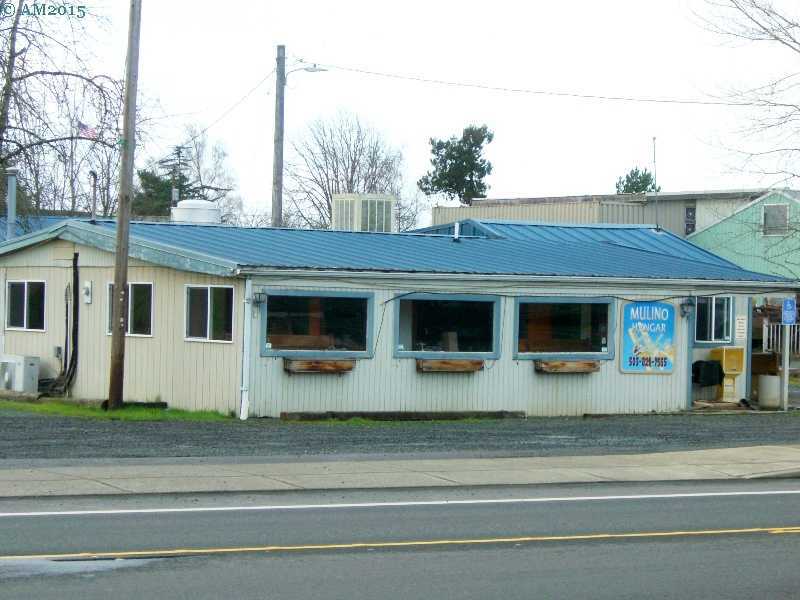 Historical notes will tell you that the name Mulino is a corruption of the Spanish molino. 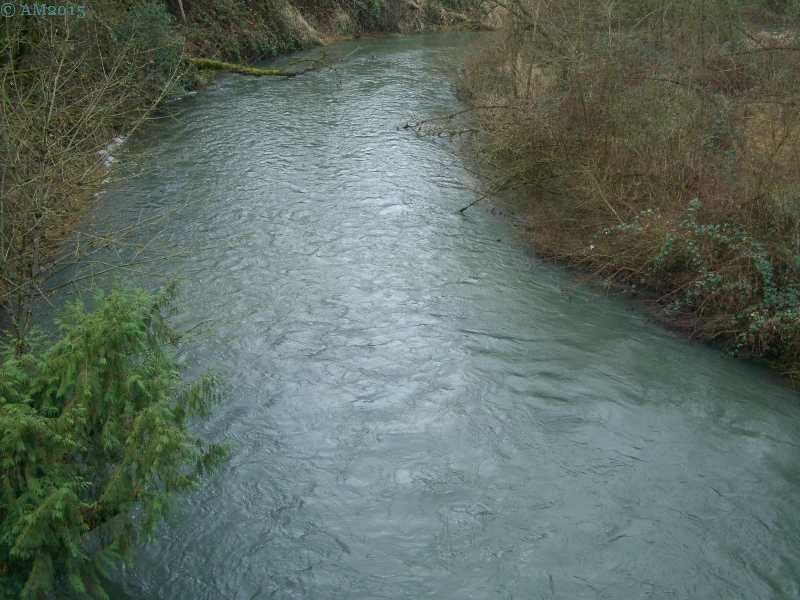 If, however, you google mulino you will get all sorts of responses in Italian. 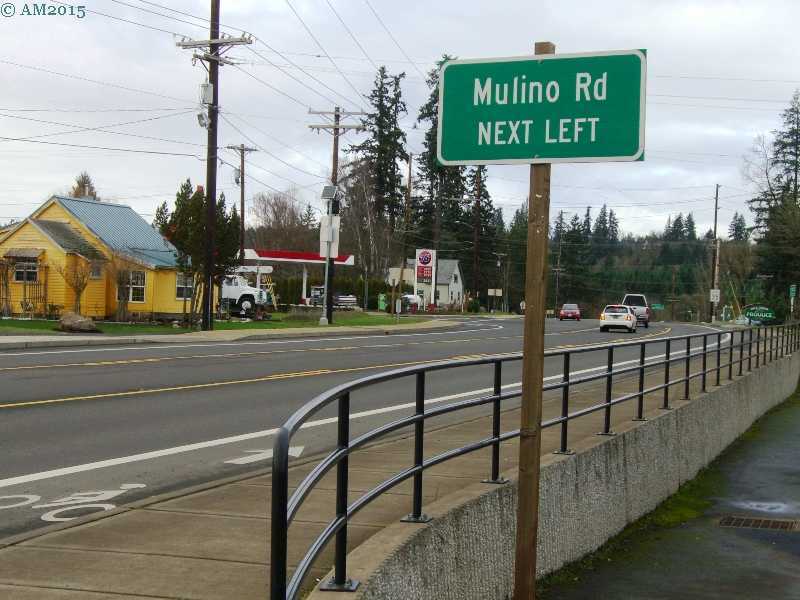 Mulino is the Italian word for 'mill' so that could be the source of the name without any apocryphal corruption of a Spanish word. 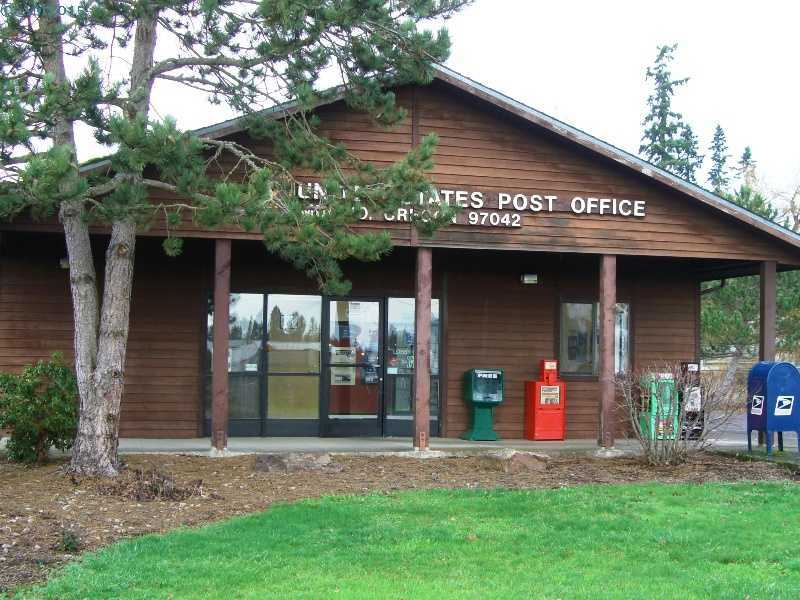 Mulino got it's post office in 1882, a change that officially placed the location on the map. 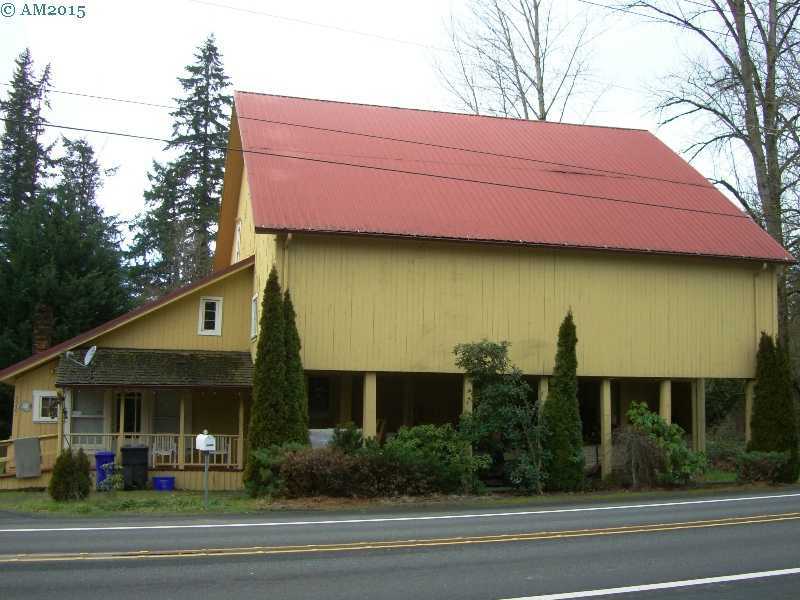 The old mill building still stands but like the Marquam Hotel is used for a private residence. 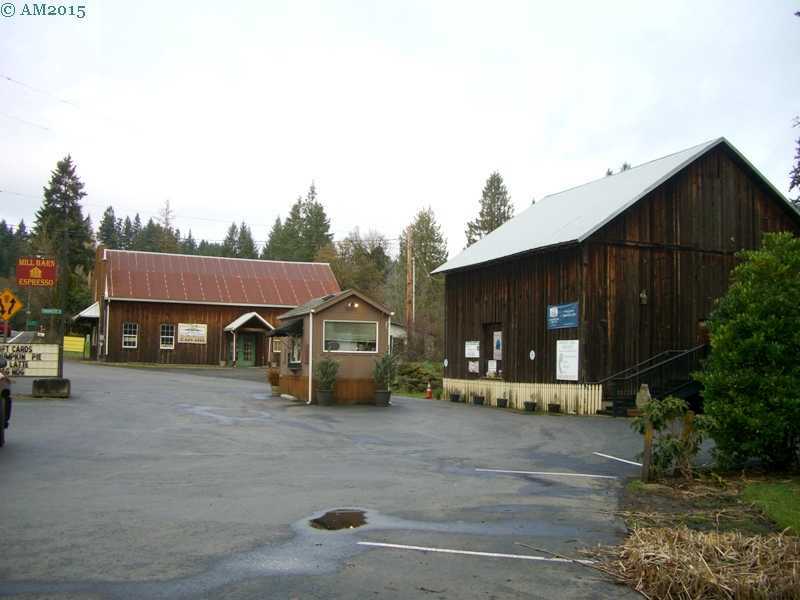 The south end of the building was used as the post office until a modern facility was constructed in the 1990's. 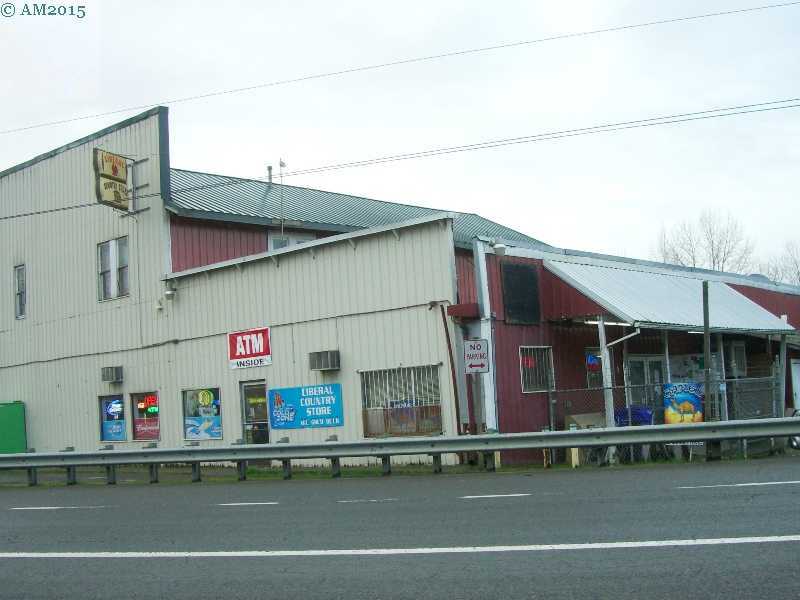 According to the historical marker across Highway 213, the mill is the oldest industrial building to remain standing in Oregon. 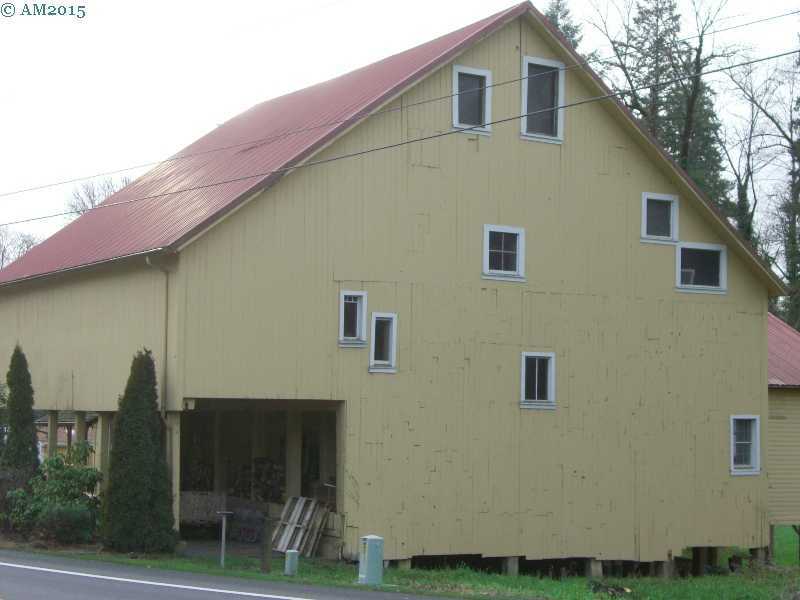 The mill, listed as Howard's Gristmill was added to the National Register of Historic Places in 1981. 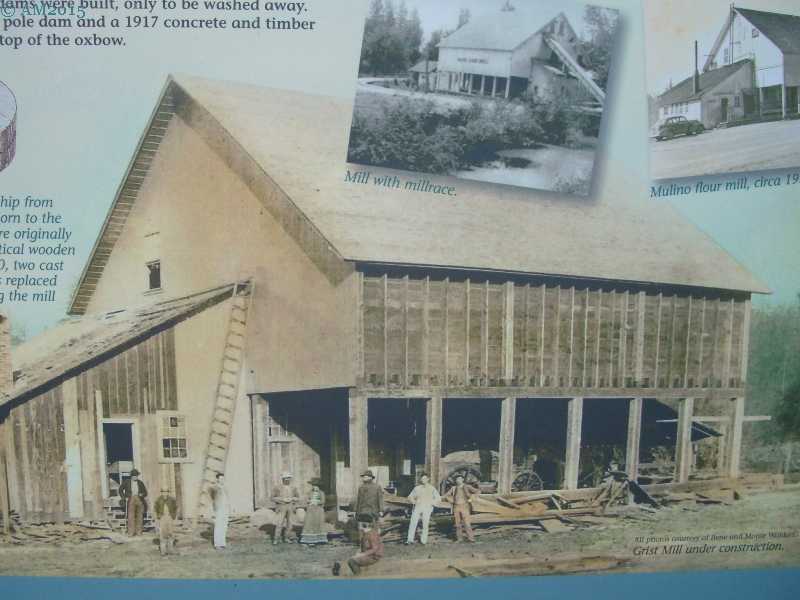 Read more Mulino history here.